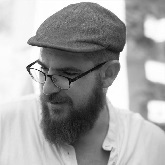 Rabbi Aaron Leibowitz is the founder of ‘Hashgacha Pratit’, an organization that broke the monopoly of the Israeli Chief Rabbinate on kosher Supervision, and now runs Chuppot. Rabbi Leibowitz leads the Vaani Teffilah community in the Nachlaot neighborhood of Jerusalem, where he lives with his wife Miriam and their five children. 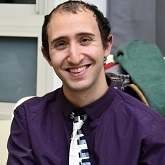 Raised in Berkeley California, he has lived in Israel since the age of sixteen. He is a former Jerusalem City Council Member who believes in an inclusive and pluralistic Jerusalem. 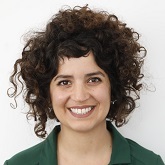 Before turning to Activism after the 2011 housing protests, Rabbi Leibowitz began as a Jewish educator, serving as Program Director for Gesher and then as an Educational Officer in the IDF. He received his rabbinic ordination from Rabbi Shlomo Riskin and Rabbi Chaim Brovender. 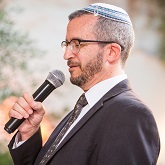 Rabbi Davidson is an expert in the field of conversion, and over the last number of years has been a leading figure in officiating the weddings of those couples unjustifiably rejected by Israel’s Chief Rabbinate. 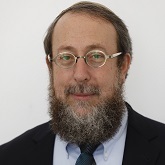 Rabbi Davidson was born in 1961, grew up in Washington, D.C., and was ordained in the United States. He made Aliyah in 1991 and today lives in Beit Shemesh. He was among the rabbinic leaders who paved the way for Giyur KeHalakha, an Orthodox conversion court independent of the Chief Rabbinate, and was a founder of Ahavat HaGer under the leadership of Rabbi Haim Amsalem. Rabbi Davidson is married to Shirah, the father of six, and grandfather of five (in the meantime). Promoter of liberty and freedom in Israel. B.Sc.Mus. & B.A.Mus from the joint program of the Jerusalem Academy of Music and the Musicology Department at the Hebrew University.